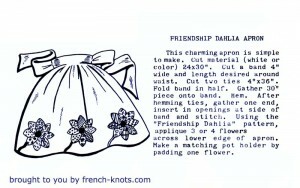 Love the look of vintage aprons? 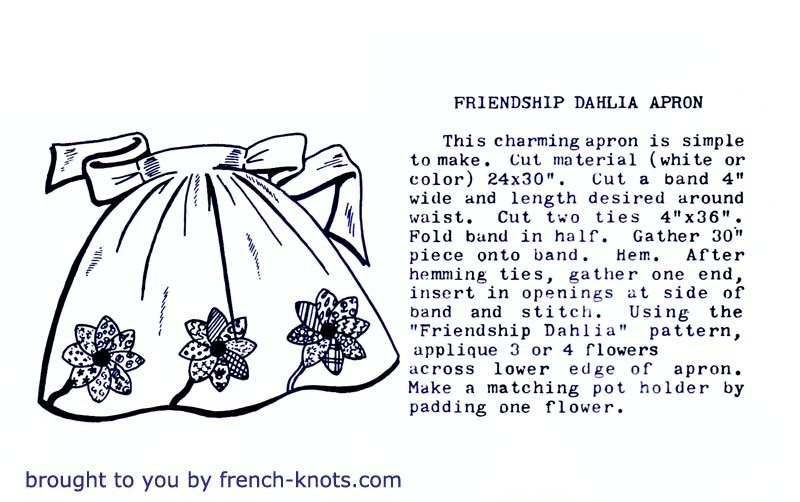 Here’s a cool little apron using the Dahlia applique pattern available for instant download here as a free pdf file. You are welcome and congratulations! My oldest granddaughter is 2-1/2 and embroidering baby things is just the best.